Happy Mega Meat Monday Dayton! 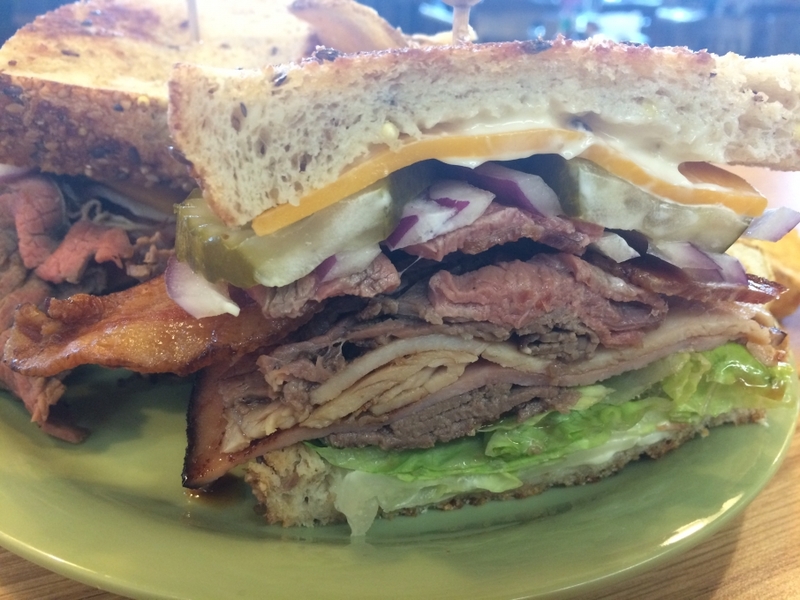 Today’s special is a Half-pound Roast Beef Bacon Bonanza! 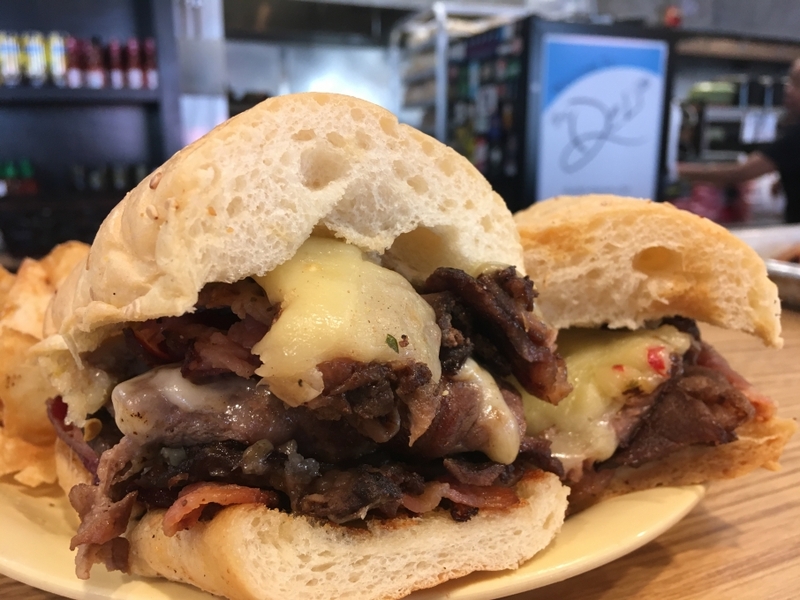 We have a half-pound of grilled parmesan-garlic-seasoned roast beef topped with bacon and pepper jack cheese, served on a toasted baguette with a side of au jus and our housemade Deli chips for $9.00! Soups today are Chicken Pot Pie, Tomato Basil, and Steak & Ale Cheddar, as well as our traditional trio of Chili, Chicken Noodle, and Lobster Bisque! Have a marvelous meat Monday Dayton! Today’s Massive Meat Monday special is a Western Burger Philly! 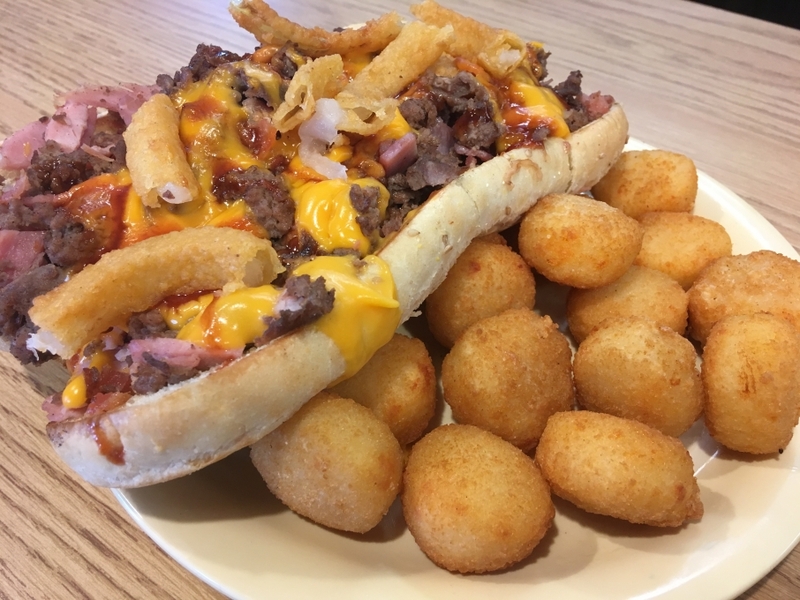 We have grilled steak tenderloin, diced ham, and ground angus beef topped with bacon bits, gourmet cheddar cheese sauce, BBQ sauce, and diced onion rings, served on a toasted baguette with a side of Joey’s cheesy tots for $9.25! 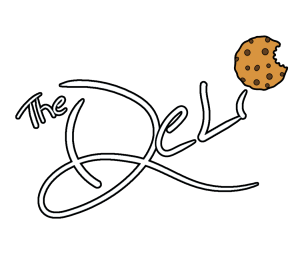 Soups today are Braised Beef Vegetable, Steak & Ale Cheddar, and Wisconsin Cheese, as well as Chili, Chicken Noodle, and Lobster Bisque! We hope that you had a Merry Christmas and we hope that you’ll have a Merry Monday! 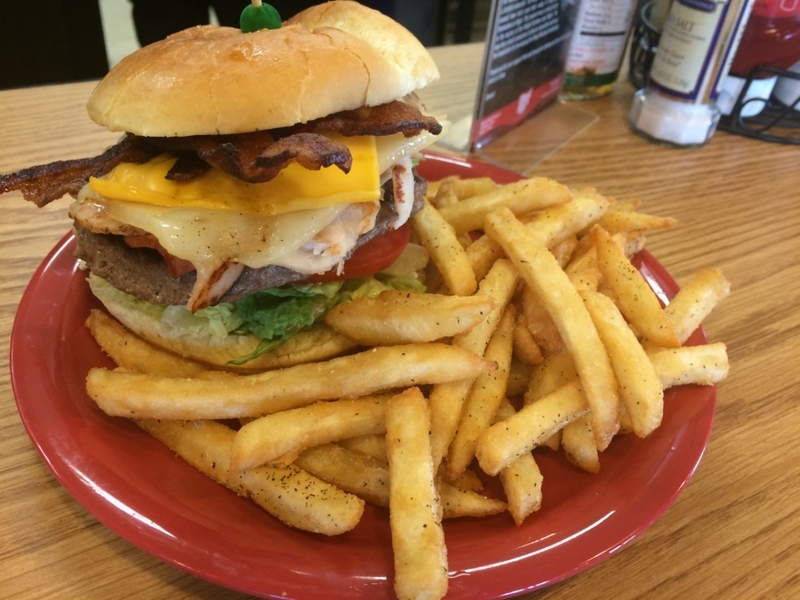 Since we weren’t able to give you a gift yesterday, we have one for you today: The Triple Decker Burger! 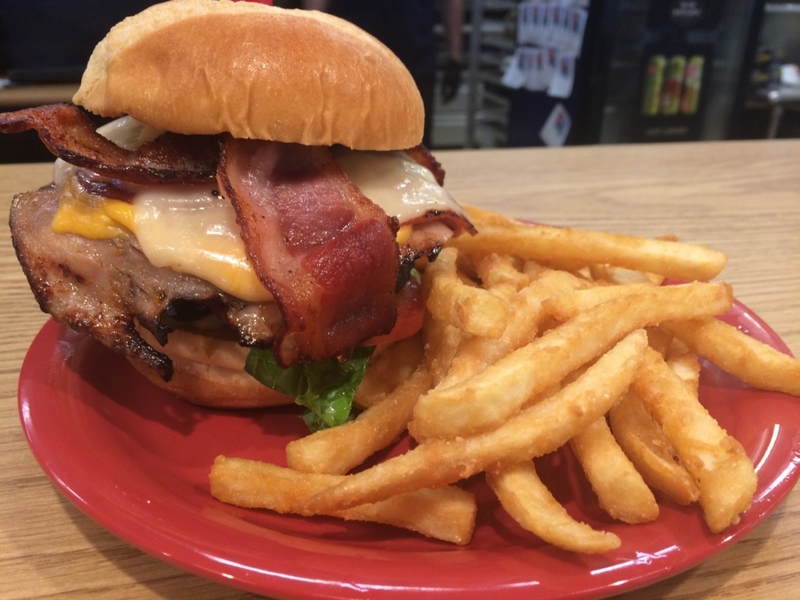 We have our grilled hamburger topped with grilled turkey and ham as well as American & Swiss cheeses with bacon, lettuce, and tomato on a brioche bun with a side of thundercrunch fries for $9.50! Soups today are Veggie Chili, Tomato Basil, and Broccoli Cheddar as well as Chili, Chicken Noodle, and Lobster Bisque! Have a merry Monday Dayton! 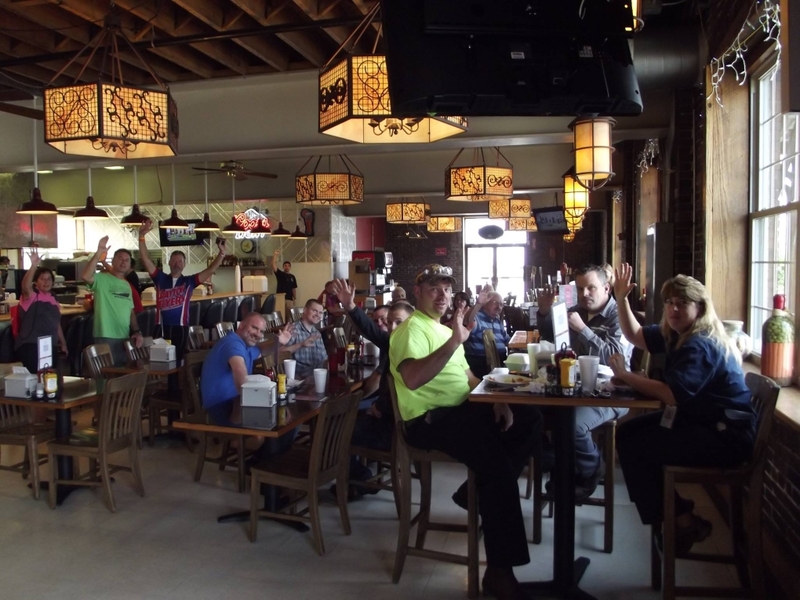 We are back in action after the Thanksgiving weekend and we hope that you are too! 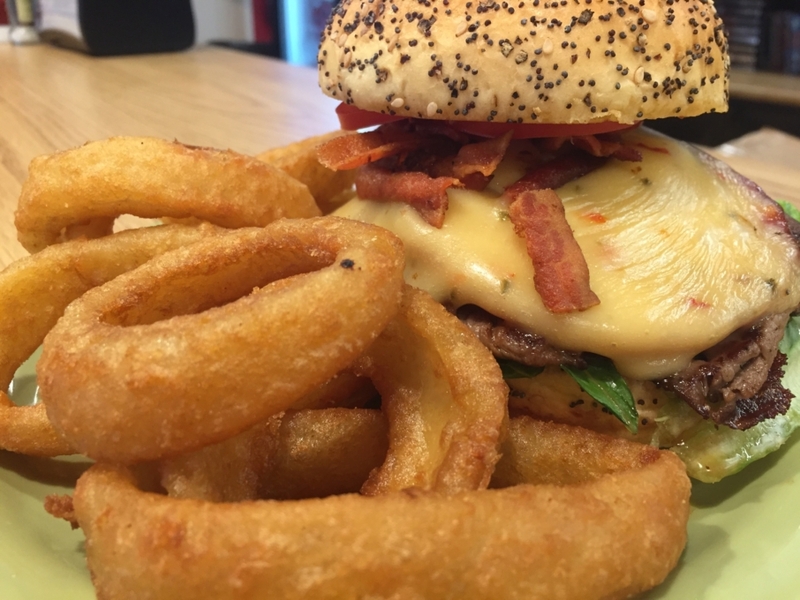 Today’s Mega Meat Monday special comes with grilled roast beef and salami topped with bacon, pepper jack cheese, lettuce, and tomato on a salt & pepper bun with a side of onion rings for $9.00! Soups today are Cheeseburger Chowder, Broccoli Cheddar, and Chicken Poblano as well as Chili, Chicken Noodle, and Lobster Bisque! To celebrate our new hours, we are bringing you a Spicy Ultimate Deli Stacker for Mega Meat Monday! We have a combined half-pound of turkey, ham, and roast beef topped with chipotle jack, ghost pepper jack, and pepper jack cheeses with lettuce, tomato, jalapenos, bacon, and a North Carolina reaper pepper aioli on three pieces of sourdough bread with a side of blackened waffle fries for $9.50! Soups today are Parmesan Kale Italian Sausage, Broccoli Cheddar, and Cheeseburger Chowder, as well as Chili, Chicken Noodle, and Lobster Bisque! PS – don’t forget that today is the first day of our expanded hours! 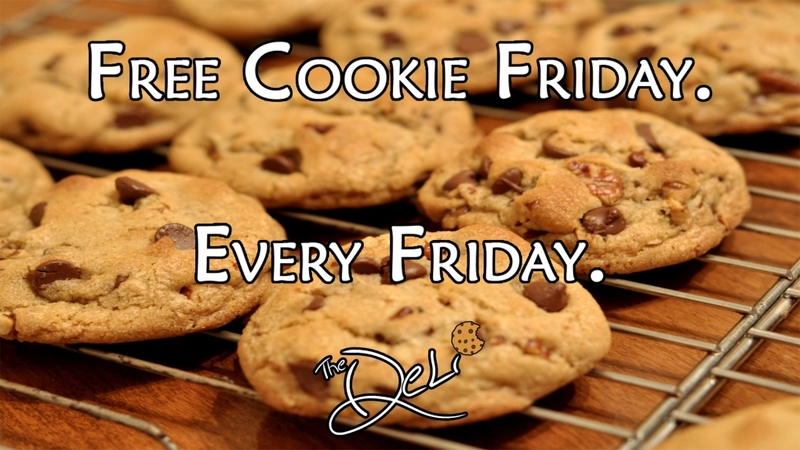 We will now be open from 11am to 4pm, Monday through Friday and 11am to 2pm on Saturday! Merry Mighty Meat Monday Dayton! 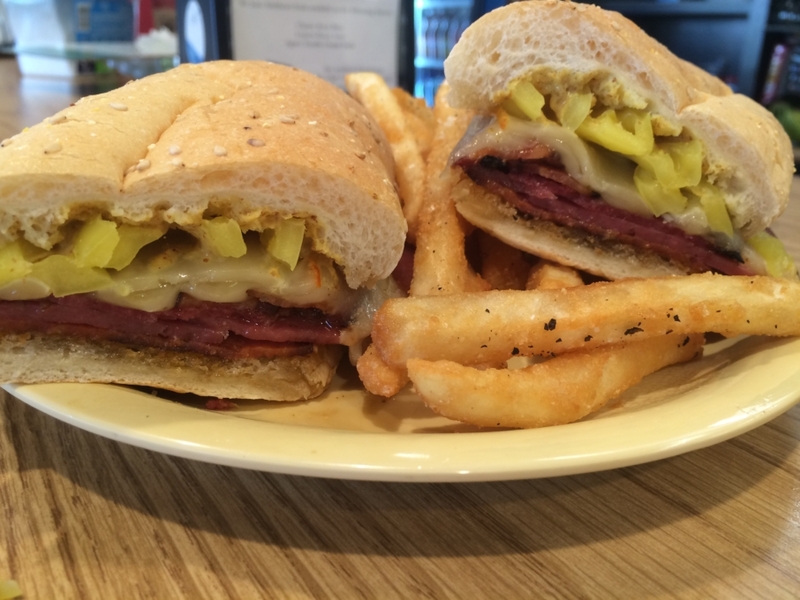 Today’s Mighty Meat Monday special is coming at you with grilled pastrami, salami, and pepperoni topped with bacon, muenster cheese, and banana peppers on an 8″ sub bun with thundercrunch fries for $9.25! Soups today are Tomato Basil, Parmesan Kale Italian Sausage, and Roasted Apple Pumpkin Bacon as well as Chili, Chicken Noodle, and Lobster Bisque! Just because Railman Campaign Week 2016 is over, doesn’t mean that we are going to stop Making Sandwiches Great Again! Today’s Mega Meat Monday special is the Triple Decker Burger: our grilled 1/2-lb hamburger on a bed of lettuce and tomato, topped with grilled turkey and ham, bacon, melted American and Swiss cheeses and mayonnaise with a side of thundercrunch fries for $9.50! Soups today are Chicken Poblano, Chicken Dumpling, and Chunky Veggie as well as Chili, Chicken Noodle, and Lobster Bisque! Have a magnificent Monday Dayton! 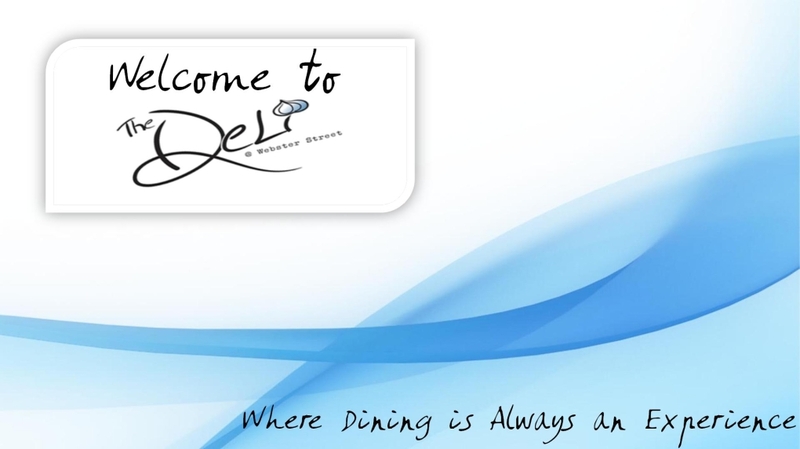 Here at The Deli & Top of the Market, we are in the wedding business and today we have married Big Meat Monday and Roast Beef Thursday to create Big Meat Roast Beef Tuesday! We have a half-pound of buffalo-seasoned roast beef topped with a jalapeno-peppadew white cheddar cheese, with grilled onions, mushrooms, and jalapenos on a bed of lettuce and tomato on a turano baguette with sides of Cajun-buffalo thundercrunch fries and chipotle ranch for $9.50! Soups today are Chicken Poblano, Chicken & Wild Rice, and Tomato Tortellini as well as Chili, Chicken Noodle, and Lobster Bisque! Have a happy Tuesday Dayton! Sometimes here at The Deli we like to take artistic liberties in order to further our mission of Making Sandwiches Great Again and today we are celebrating Big Meat Monday on Wednesday! 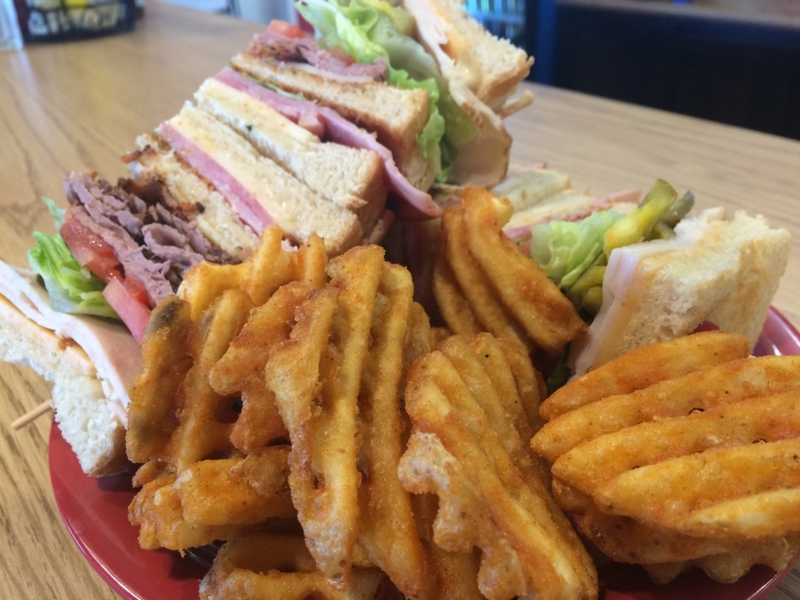 We have a half-pound combined of grilled turkey, ham, and roast beef topped with bacon, cheddar, and swiss cheeses with lettuce, tomato, onion, pickle chips, and mayo on multigrain bread with a side of our Deli chips for $8.75! 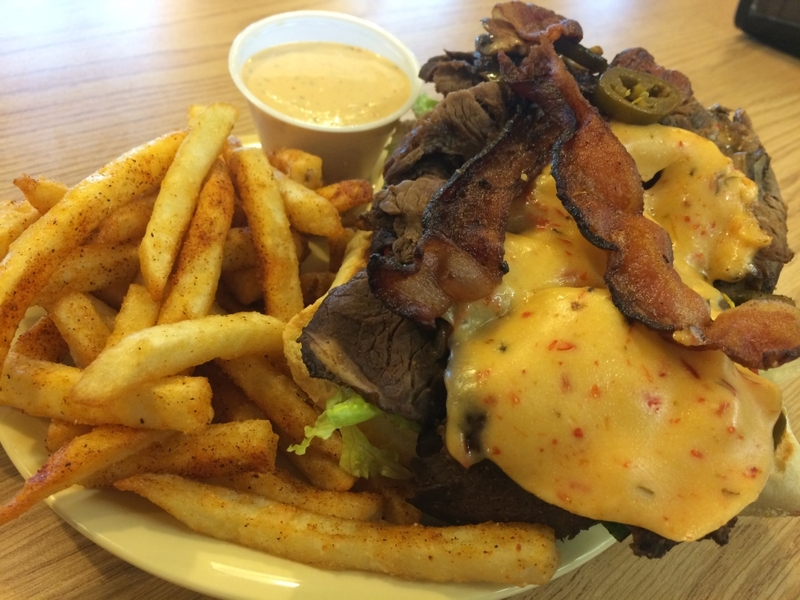 Soups today are Bacon Cheeseburger Chowder, Shorty’s Flamethrower Chili, and Broccoli Cheddar as well as our Chili, Chicken Noodle, and Lobster Bisque! Today is, of course, Mega Maple Meat Monday! 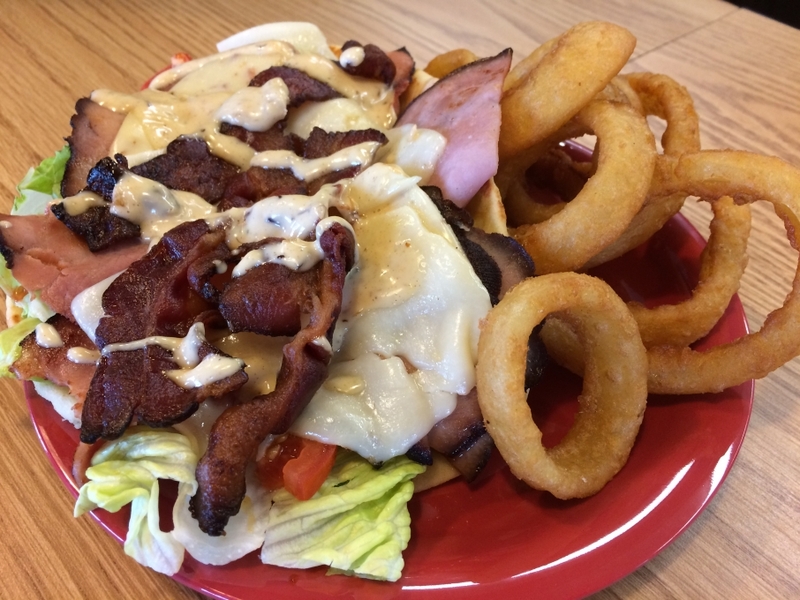 We have grilled black forest ham and bacon topped with a maple-bacon cheddar and a white goat-cheese cheddar on a bed of lettuce and tomato, with a maple-bacon aioli on our flatbread with a side of onion rings for $9.00! Soups today are Broccoli Cheddar, Braised Beef Vegetable, and Shorty’s Flamethrower Chili, as well as our traditional Chili, Chicken Noodle, and Lobster Bisque! Have a Merry Maple Mega Meat Monday Dayton!